Hello people, today I am going to review a skin care product that I really like. I really like the packaging of this product. It looks very pretty and sleek. It has Aqua, surfactant, Olea Europaea Seed Powder/Olea Europaea (Olive) Seed Powder (Abrasive), Acrylates Copolymer (Stabiliser), Lauryl Betaine (Surfactant), Glycerin (Humectant), Hydrogenated Jojoba Oil (Emollient), Pentylene Glycol (Solvent), Phenethyl Alcohol (Fragrance Ingredient), Glyceryl Caprylate (Skin Conditioning Agent), Parfum/Fragrance (Fragrance Ingredient), Propylene Glycol (Humectant), Sodium Hydroxide (pH Adjuster), Luffa Cylindrica Fruit (Natural Additive), Fucus Vesiculosus Extract (Skin Conditioning Agent), Sodium Chloride (Viscosity Controlling Agent), Disodium EDTA (Chelating Agent), Linalool (Fragrance Ingredient), Butylphenyl Methylpropional (Fragrance Ingredient), Benzyl Salicylate (Fragrance Ingredient), Phosphoric Acid (pH Adjuster). 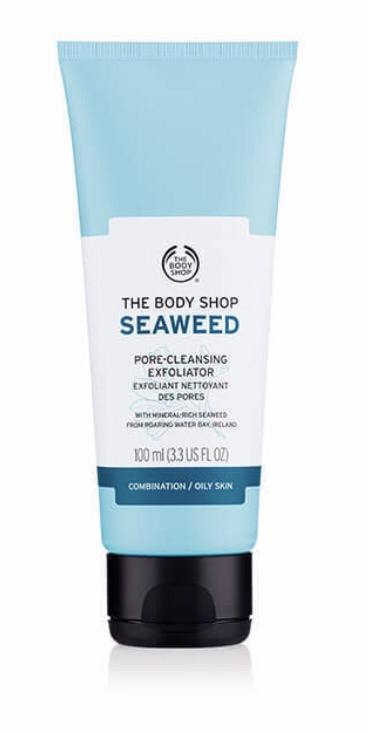 I am obsessed with this exfoliator. It refreshes and clarifies skin. It refines pores and deeply cleanses skin and makes it soft. I have a combination skin and I really like it. If you have oily or combination skin you will really like it. People with dry skin might not like it. It is a gel based cleanser with jojoba micro beads. Next Post Burberry Brit Sheer body lotion.